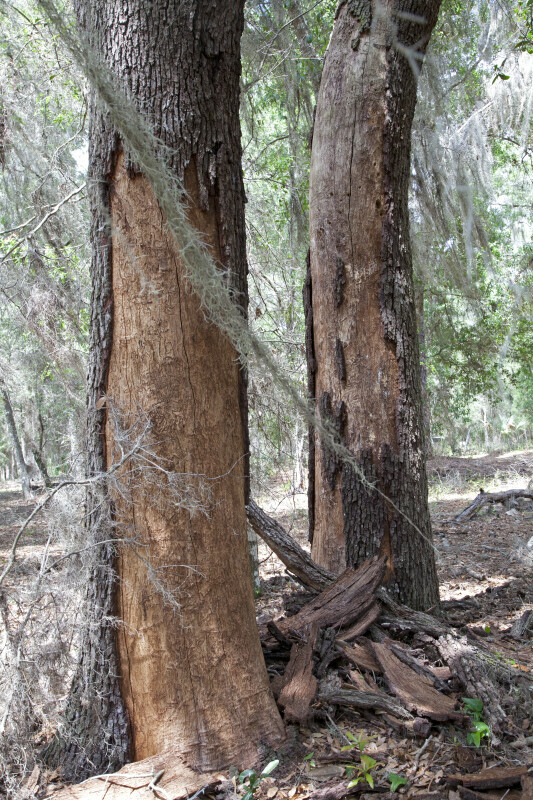 This picture shows two trees whose trunks were shaved and was taken at Chinsegut Wildlife and Environmental Area. Spanish moss (Tillandsia usneoides) can be seen hanging from the trees. WARNING: You are about to download a 48.7 MB TIFF!